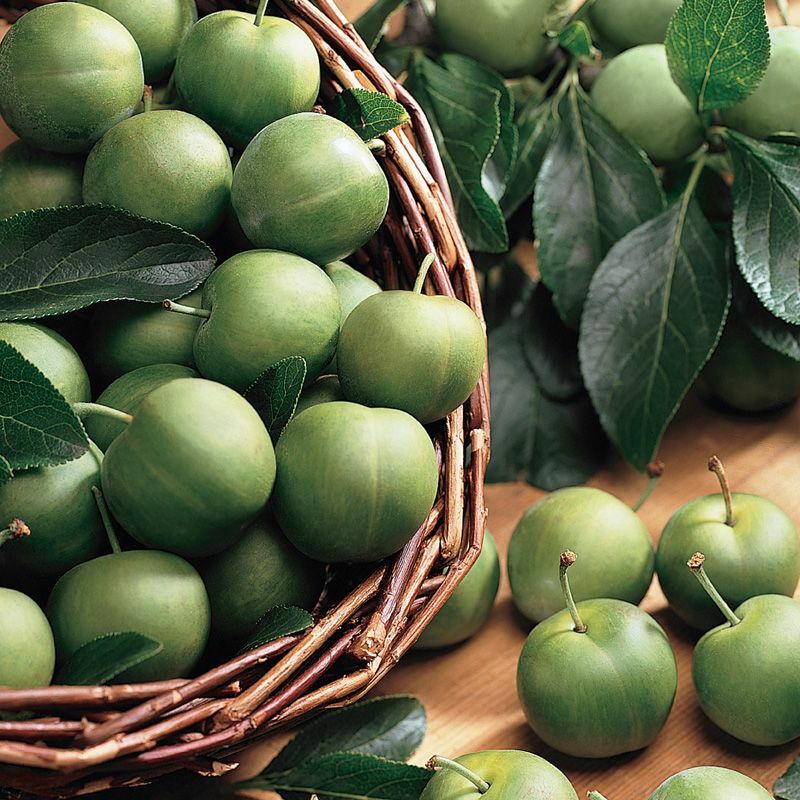 Green Gage plum trees are an old world European plum variety with excellent eating quality and culinary versatility. Trees biannually produce white blossoms followed by small, freestone, yellow-green fruit with a rich plum-honey flavor. Despite their almost un-ripe coloring and appearance, Green Gage plums are sweet and sugary without a trace of bitterness. Fruit ripens in early August. Self-pollinating. Pollinating partners of other varieties may also be desirable as to increase yield. Green Gage plums were first cultivated in France as Reine Claude, after Queen Claude, from a plum native to Armenia. They were then introduced into England by Sir Thomas Gage in the early 16th century.